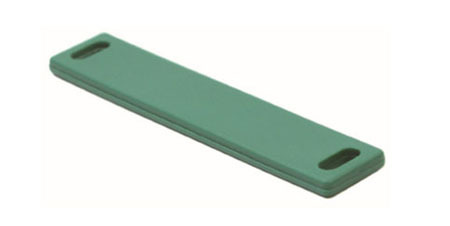 Are you looking for RFID tag that can be applied to curved non-metal surface? OPP9018 would be an optimal choice. OPPIOT designs this UHF flexible label with TPU outer case which can be operated both indoor and outdoor environment. This off metal tag is IP68 rated which can well resist shock, water, dust, pressure and chemical attack. Measuring 90mm*18mm, OPP9018 provides a read range of up to 4 meters when mounted on non-metal surfaces.